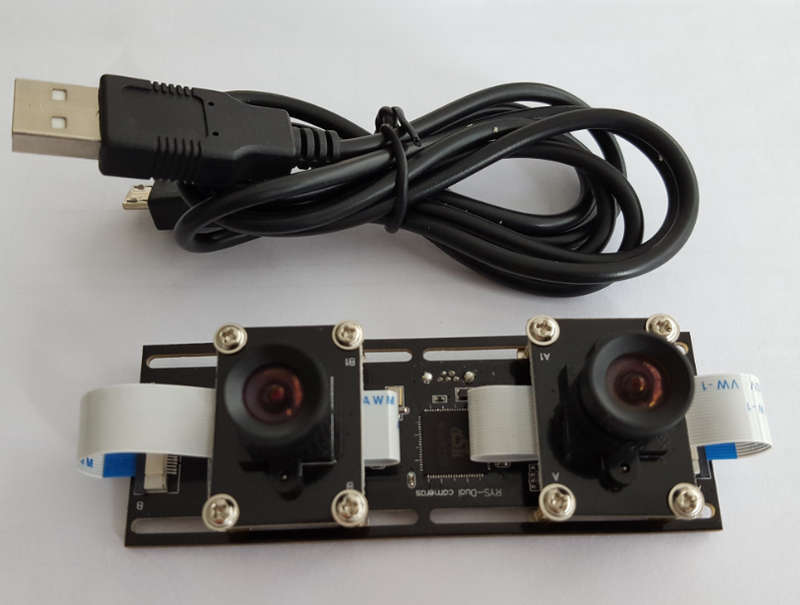 This is one of our most popular and best-selling dual lens camera modules, we use Omnivision OV4689 CMOS image sensors, resolution is high and images are clear. 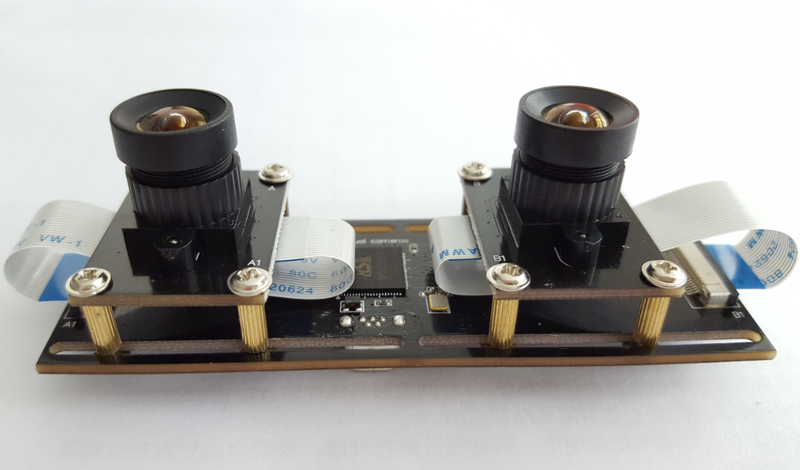 The Omnivision OV4689 sensor is 4MP resolution itself, but with our design, it is best to use 2MP resolution, which functions well and speed is fast. We designed 2 slots on 2 sides, so you can move and adjust the lens distance as per your requirement. Also, you can put lens opposite and use it as 360° VR panorama camera module application. When you order from us, please clarify which do you need!! IMPORTANT! 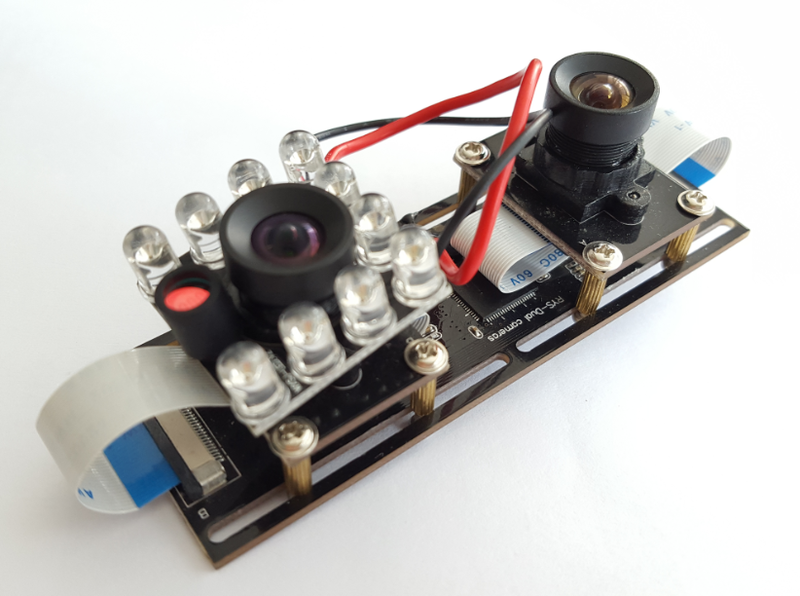 See below photos, this is option-2 camera module, with one lens is color image and other is black/white image. 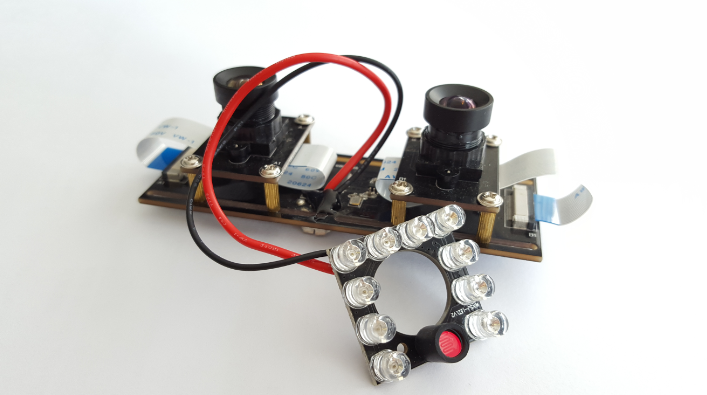 During day time or in good light condition, the color lens will work; During bad light condition or at night, the LEDs will turn on automatically and the black/white lens works.